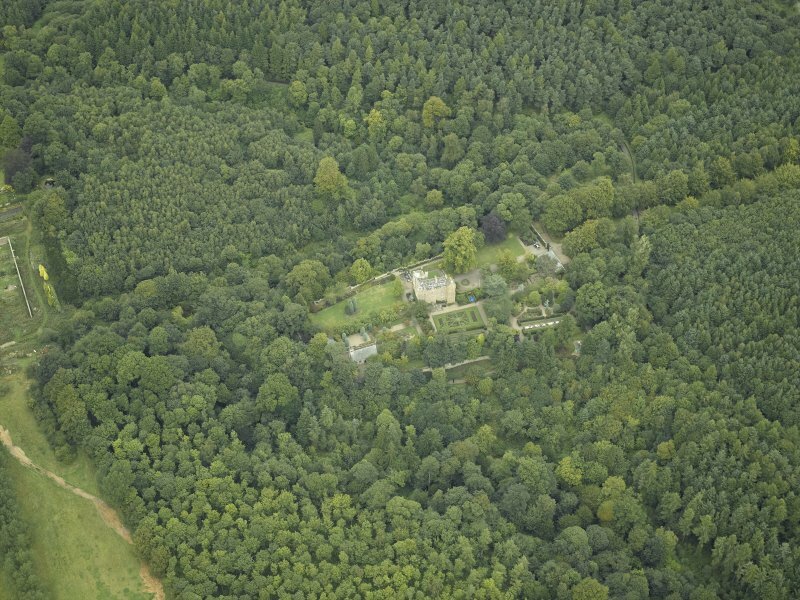 Oblique aerial view centred on the castle, garden and chapel, taken from the NE. 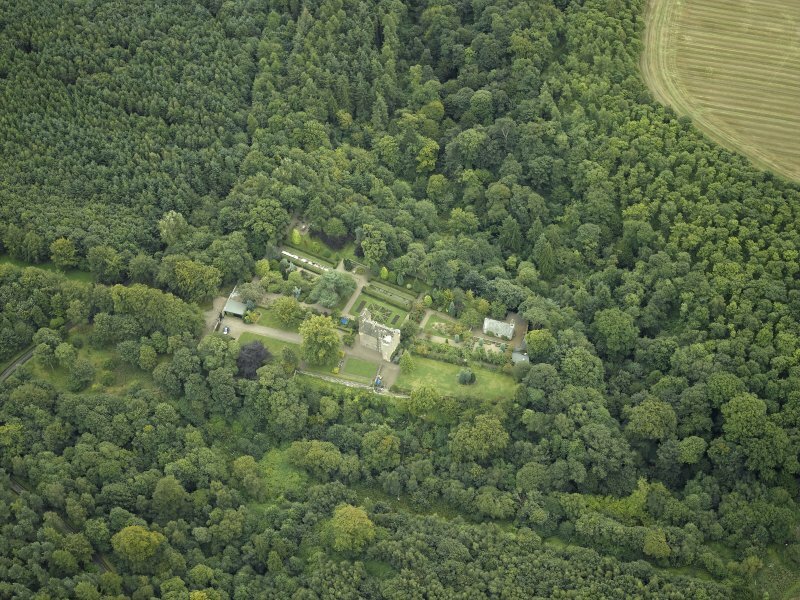 Oblique aerial view centred on the castle, garden and chapel, taken from the W.
Oblique aerial view centred on the castle, garden and chapel, taken from the SW.
Oblique aerial view centred on the castle, garden and chapel, taken from the ESE. 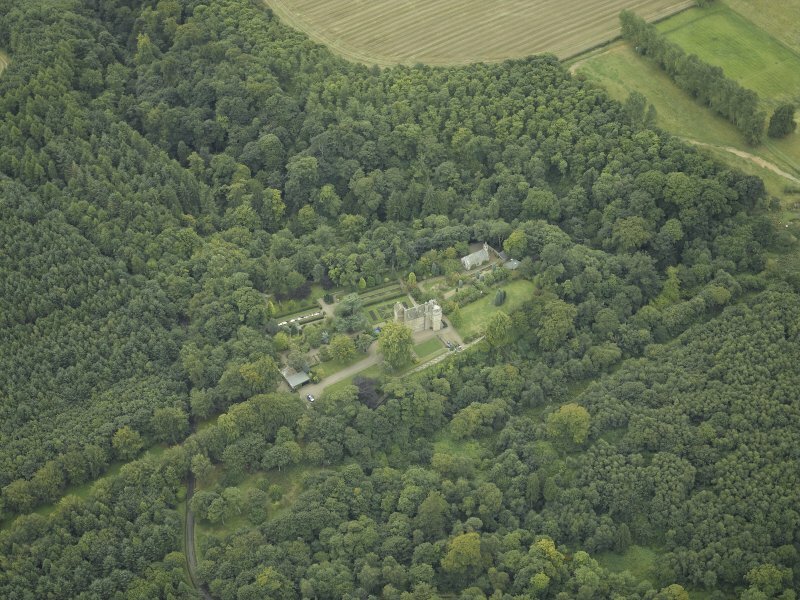 Oblique aerial view centred on the castle, garden and chapel, taken from the NW. 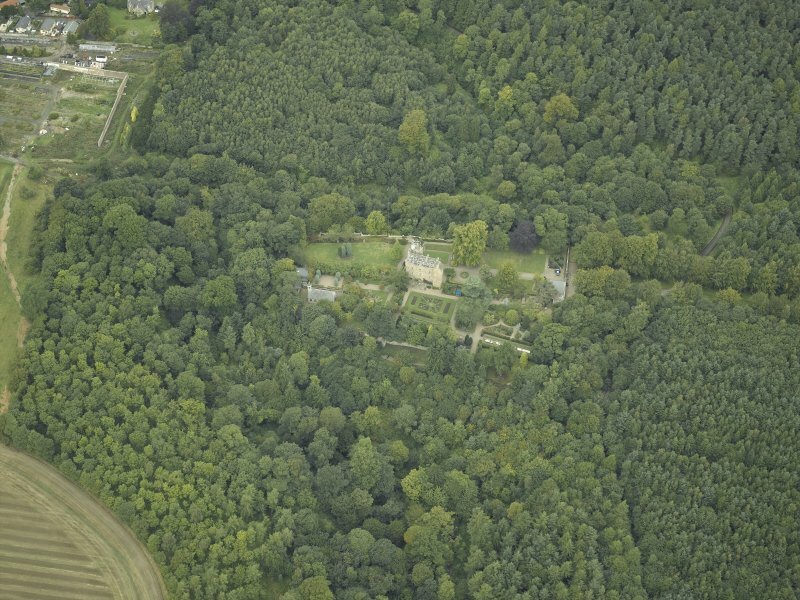 Oblique aerial view centred on the castle, garden and chapel, taken from the SSE. 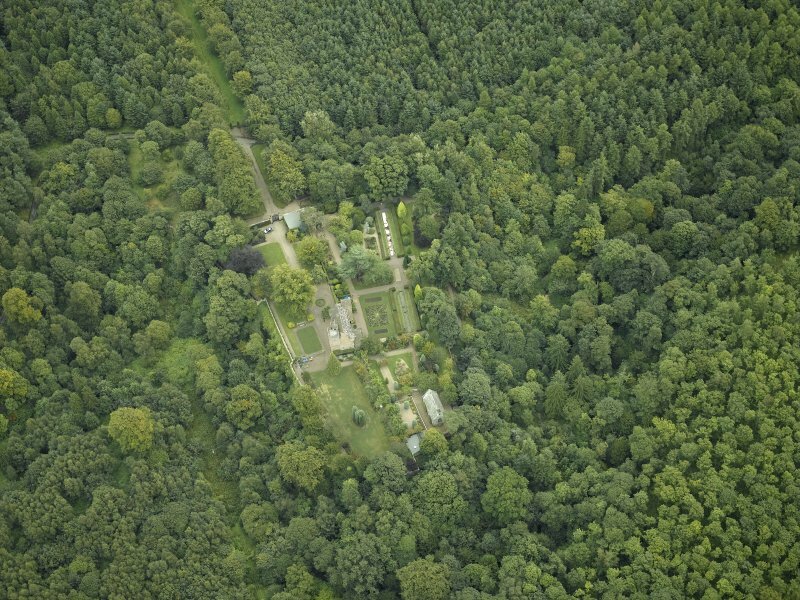 Oblique aerial view centred on the castle, garden and chapel, taken from the ENE. 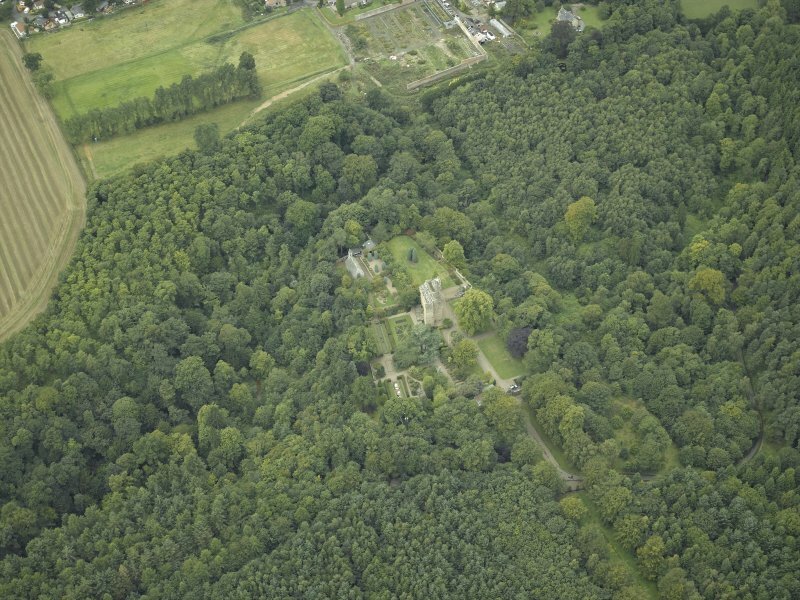 Oblique aerial view centred on the castle, garden and chapel, taken from the SSW. 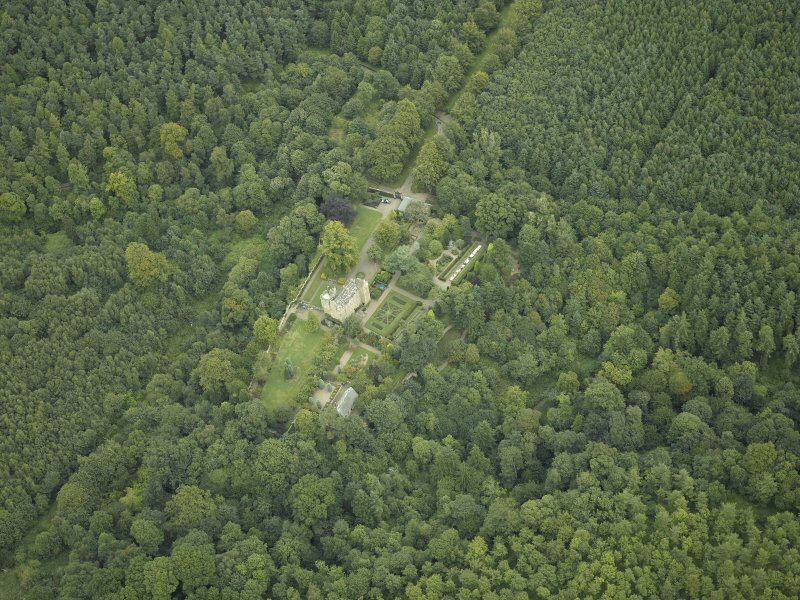 Fordell Chapel, restored some years ago, is a mortuary chapel built in 1650. 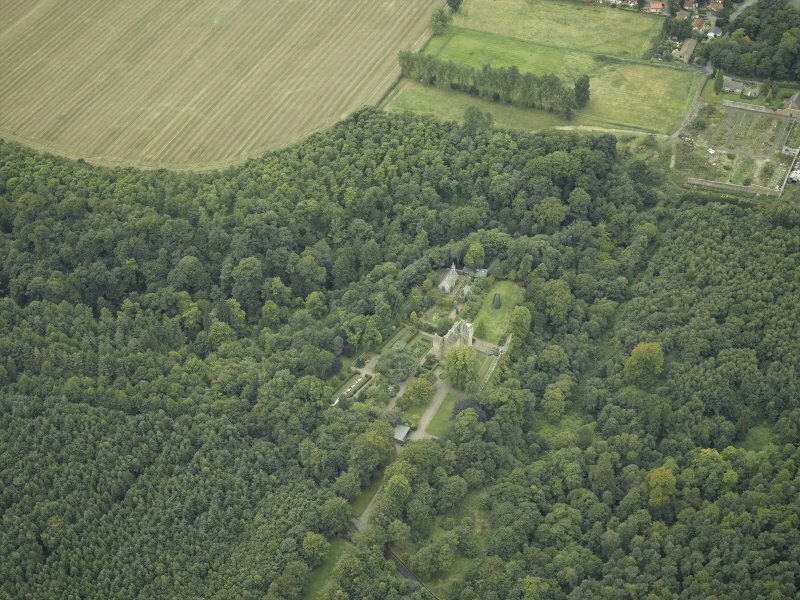 It is said to occupy the site of the old chapel of St Theriot, Therotus or Theoretus. Uoret, an 8th century cleric, may be represented by St Terott or Tirot, Teorot, whose chapel was in Fordel, 1570, 1611 (W J Watson 1926). Noted in 1510 (Reg Magni Sig Reg Scot). 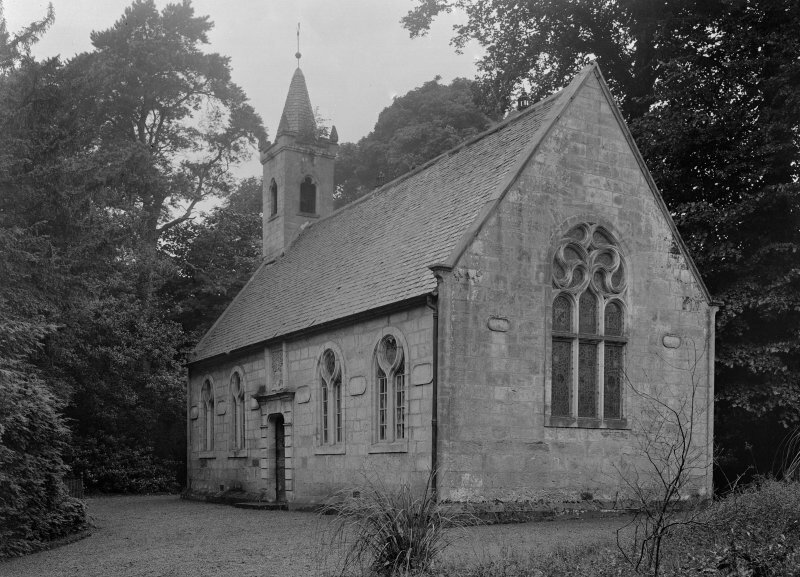 This chapel, now disused, is as described. It is in good condition, with restoration work currently in progress. Visited by OS (AC) 11 March 1959.